Who is Erik Seidel? | Erik Seidel Bio - Casino Answers! Erik played in his first World Series of Poker Championship Event in 1988 and he finished second. The famous winning hand was featured in the movie “Rounders”. At the Championship Event in 1999 he finished fourth. Erik won his first bracelet in 1994 in the $5K Limit Hold ’em event. In 2005, he made four final tables at the WSOP and he won his seventh bracelet in the $2,000 No-Limit Hold ’em tournament. In 2007, Erik won his eighth career bracelet, tying him for fourth all time with the legendary Johnny Moss. Erik took second place and $880,000 in prize money at the Aussie Millions Main Event in 2008 and three months later he won his first World Poker Tour Championship and nearly $993,000 at the Foxwoods Poker Classic. Erik currently plays online for Full Tilt Poker. Seidel is a life long gambler. He was born in New York City and as a youth would play backgammon professionally. He’d leave that to work as a trader on the stock exchange which is definitely it’s own form of gambling. From there, he became a professional poker player. Seidel was a player at the famous Mayfair Club in New York. 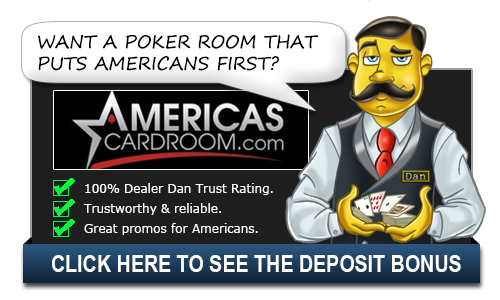 The club started as a bridge and backgammon club, but later turned into one of the top card rooms in the world. The club was the model for what would become the Chesterfield Club in the movie Rounders. The club grew to fame in the late eighties when a ton of Mayfair Club regulars finished strongly in the World Series of Poker with four finishing inn the top-11. This trend continued in 1988 when Erik Seidel ended up as the runner-up in the Main Event. After that second place finish in 1988, Seidel would grab his first World Series of Poker bracelet in 1992. Fifteen years later he would win his 8th bracelet at the 2017 WSOP. He is part of a very select group of the most successful World Series of Poker players of all time. There are only five players in the history of the tournament who have won more bracelets than Seidel and they are all Hall of Fame level players. Those players are Doyle Brunson, Phil Hellmuth, Johnny Chan, Johnny Moss and Phil Ivery. Imagine sitting down at a table with that group. No, thank you. In addition to that, Seidel’s 101 WSOP cashes ranks him second all-time in that category. He has three years where he has earned $5,000,000 or more in a single year, the only person to do it that many times. As of 2016, his career earnings are over $34,000,000 with over five million of that coming just from the World Series of Poker. One of his best years was 2011 where he won the High Roller Event at the LA Poker Classic, the National Heads-Up Poker championship, the Super High Roller on the WPT and also finished runner up in the Epic Poker League. For the year, he made over $6.2 million. By any way that you slice it, Erik Seidel is one of the greatest poker players of all-time. In 2010 he received poker’s greatest honor as he was inducted into the Poker Hall of Fame.